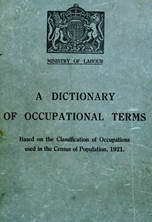 hires out horse-drawn vehicles; may drive vehicle himself; may also own petrol driven vehicles for hire; duties as for livery stable manager q.v. owns horses which he lets out for riding or for draught purposes, by day, week or month. keeps stables to which horses may be brought for sale; arranges sale by private treaty or by auction, on commission; stables private owners' horses. in charge of livery stables and responsible to cab proprietor or livery stable keeper q.v. for control of staff, safe custody of horses and for safe storage of fodder, litter, etc., used in stables; supervises grooms and stablemen (725) q.v. ; ensures that horses are regularly fed and exercised, stalls properly bedded and cleaned; examines sick horses and either (simple ailments) gives medicine himself or calls in veterinary surgeon; lets stabling accommodation; sometimes arranges terms and collects payments for employer. lets out horses and vehicles for conveyance of passengers, and mails in districts where there is no railway communication.